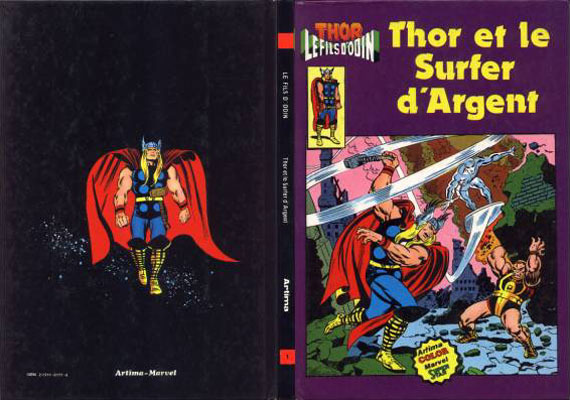 → Thor (1°) #158 (11/68) The Way It Was! 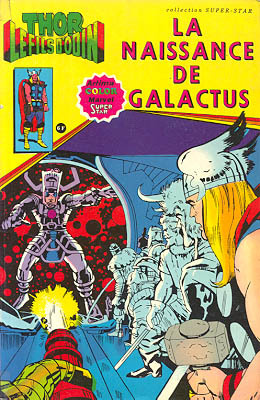 → Thor (1°) #168 (09/69) Galactus Found! → Thor (1°) #169 (10/69) The Awesome Answer! 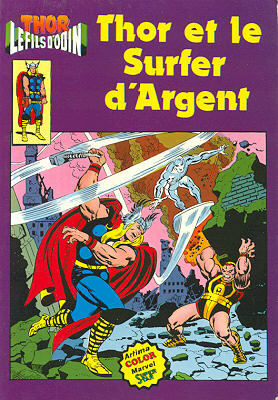 → Thor (1°) #170 (11/69) The Thunder God And The Thermal Man! → Thor (1°) #171 (12/69) The Wrath Of The Wrecker! 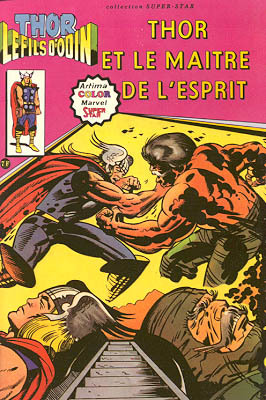 → Thor (1°) #172 (01/70) The Immortal And The Mind-Slave! 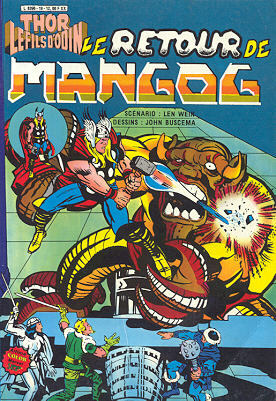 → Thor (1°) #173 (02/70) Ulik Unleashed! → Thor (1°) #174 (03/70) The Carnage Of The Crypto Man! → Defenders (1°) #42 (12/76) And In This Corner: The New Emissaries Of Evil! → Defenders (1°) #43 (01/77) This World Is Mine! → Thor (1°) #180 (09/70) When Gods Go Mad! 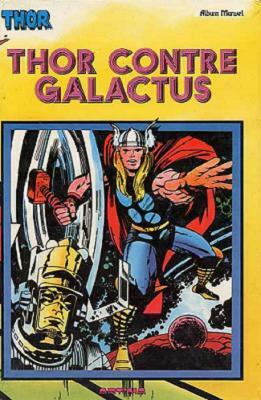 → Thor (1°) #181 (10/70) One God Must Fall! 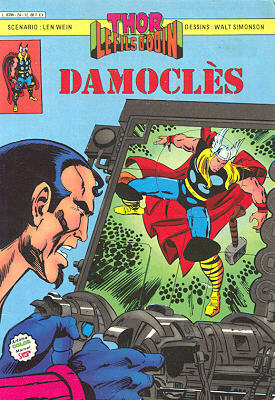 → Thor (1°) #182 (11/70) The Prisoner... The Power... And... Dr. Doom! → Journey Into Mystery (1°) #104 (4) (05/64) Tales Of Asgard - Origin Of Heimdall Part 1 : Heimdall, Guardian Of The Mystic Rainbow Bridge! 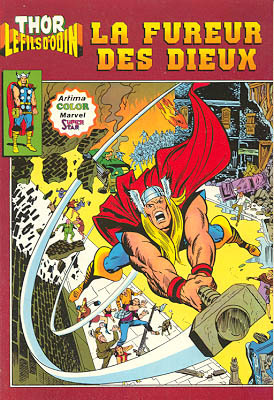 → Thor (1°) #184 (01/71) The World Beyond! 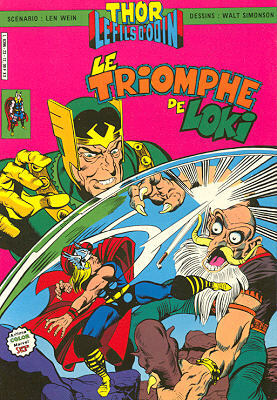 → Thor (1°) #185 (02/71) In The Grip Of Infinity! → Thor (1°) #186 (03/71) Worlds At War! 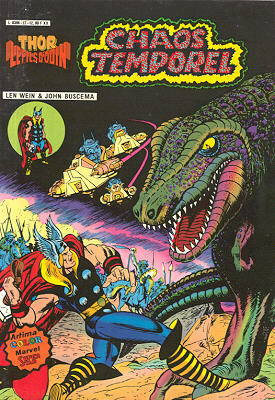 → Journey Into Mystery (1°) #101 (4) (02/64) Tales Of Asgard - The Boyhood Of Thor Part 2 : The Invasion Of Asgard! → Thor (1°) #193 (11/71) What Power Unleashed? → Thor (1°) #194 (1) (12/71) This Fatal Fury! 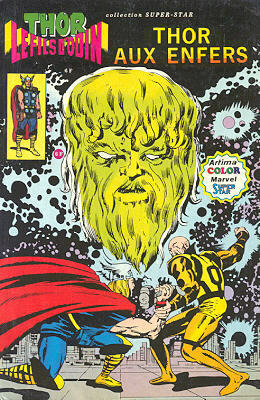 → Journey Into Mystery (1°) #114 (2) (03/65) Tales Of Asgard - The Golden Apples! 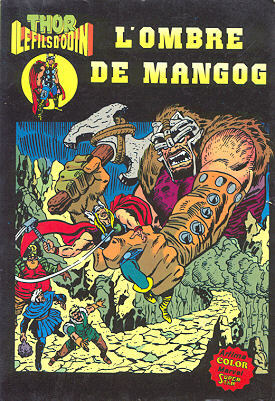 → Thor (1°) #195 (01/72) In The Shadow Of Mangog! 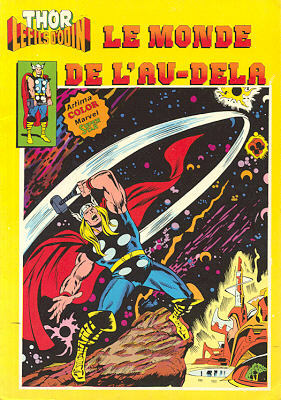 → Thor (1°) #196 (02/72) Within The Realm Of Kartag! → Thor (1°) #197 (03/72) The Well At The Edge Of The World! 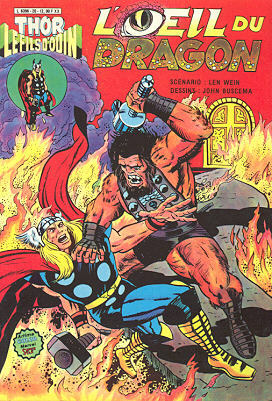 → Thor (1°) #198 (04/72) ...And Odin Dies! → Thor (1°) #199 (05/72) If This Be Death...! → Thor (1°) #240 (10/75) When The Gods Make War! 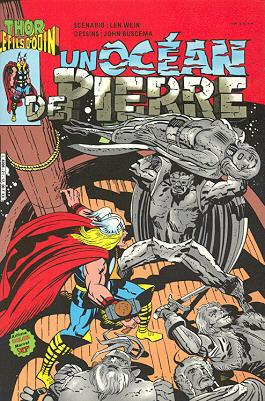 → Thor (1°) #241 (11/75) The Death-Ship Sails The Stars! 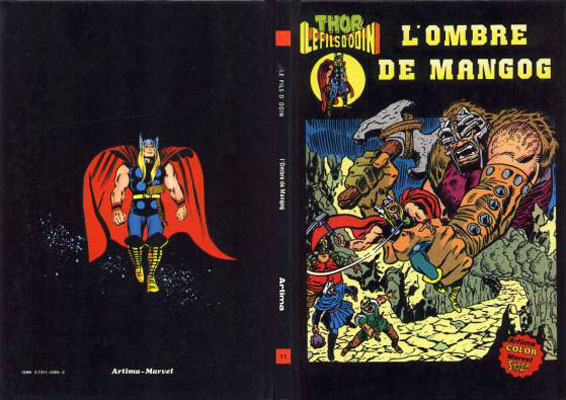 → Thor (1°) #255 (01/77) Lo, The Quest Begins! 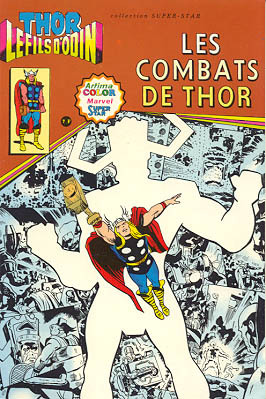 → Thor (1°) #256 (02/77) Lurker In The Dark! 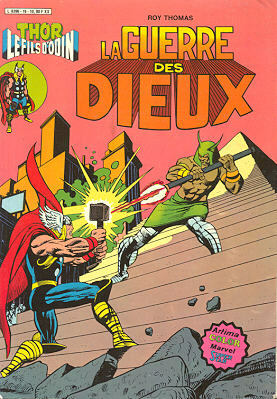 → Thor (1°) #257 (03/77) Death, Thou Shalt Die! 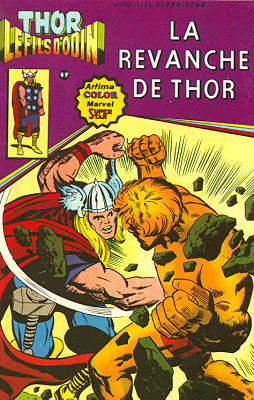 → Thor (1°) #258 (04/77) If The Stars Be Made Of Stone! 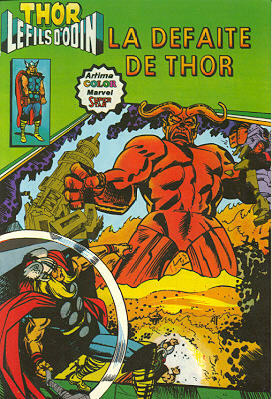 → Thor (1°) #259 (05/77) Escape Into Oblivion! → Thor (1°) #261 (07/77) The Wall Around The World! 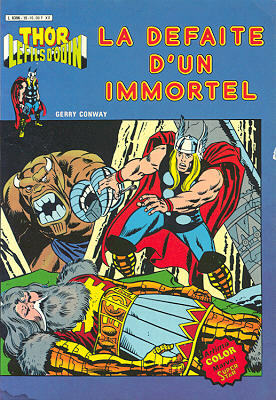 → Thor (1°) #262 (08/77) Even An Immortal Can Die! → Thor (1°) #263 (09/77) Holocaust And Homecoming! → Thor (1°) #264 (10/77) Thou Shalt Have No Other Gods Before Me! 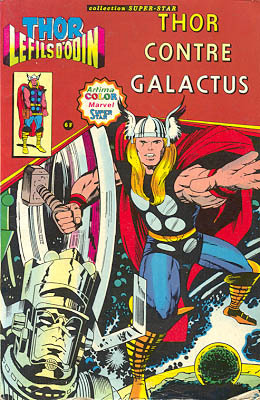 → Thor (1°) #265 (11/77) When Falls The God Of Thunder...! 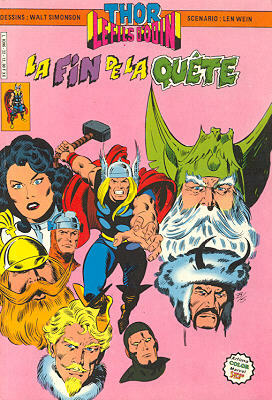 → Thor (1°) #266 (12/77) ...So Falls The Realm Eternal! 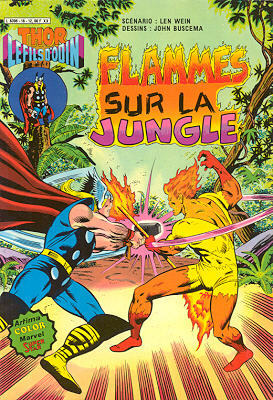 → Journey Into Mystery (1°) #99 (3) (12/63) Tales Of Asgard - Surtur The Fire Demon! → Thor (1°) #267 (01/78) Once More, To Midgard! 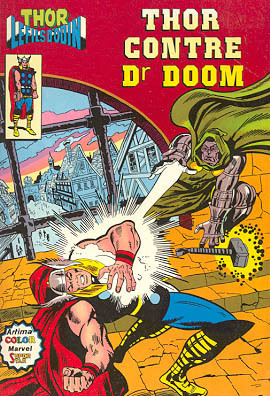 → Thor (1°) #268 (02/78) Death, Thy Name Is Brother! 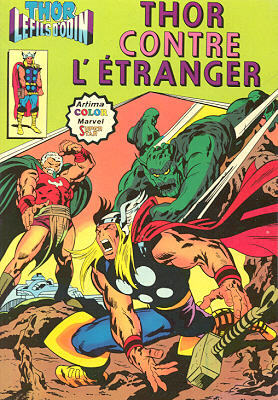 → Thor (1°) #269 (03/78) A Walk On The Wild Side! 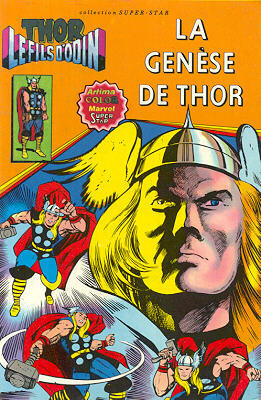 → Thor (1°) #270 (04/78) Minute Of Madness... Dark Day Of Doom!